Motherhood doesn’t always look like a celebrity maternity photo shoot. Your hair is rarely done, you are running on caffeine and PB&J crust leftovers, and you have stretch marks in places you didn’t even know were a part of your body. Learn why adding collagen may be the answer to your energy and skin toning needs. Midway through my pregnancy, I switched to a midwife and plunged into the world of the natural. By this point, I had already gained 15 pounds, and would gain another 20 before my son was delivered. I started to change my diet, ordered oodles of cloth diapers, read up on the evils of vaccines, but still believed good old cocoa butter would prevent stretch marks. Fast forward to third trimester, and I had stretch marks in places I previously did not know I had, even though I literally covered my belly in cocoa butter daily. A few months after delivering, I read on a natural mommy blog about skin elasticity and health, and realized I did not properly supplement or consume a diet to prevent my new tiger-striped friends. 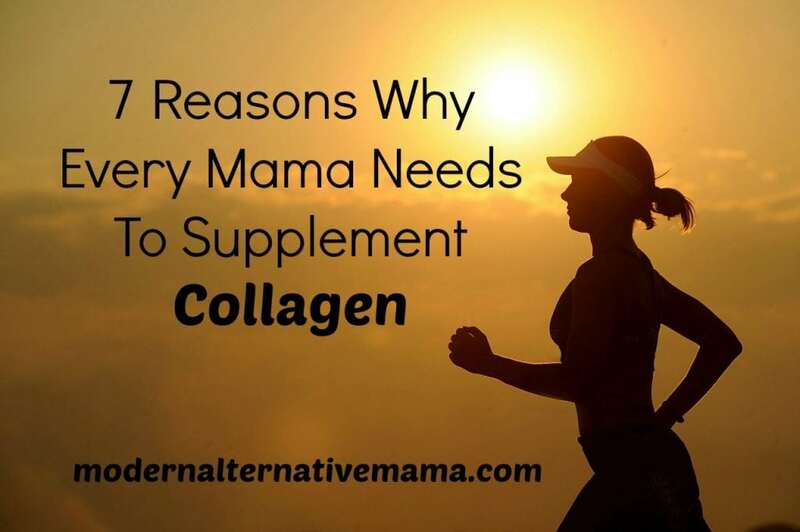 Now when a new mommy asks me what prenatal and other supplements she should take during pregnancy, I always mention grabbing a high-quality collagen supplement. I’ve also realized how important it is for moms to be in tip-top shape, and no, I do not mean your abs. Moms are constantly using their bodies to carry heavy loads of babies and bags, stay up extra late to sew that perfect costume, and put away the fifth load of laundry that day. We are always overextending ourselves, and we need to support our bodies to be able to do all we do. Two months into single momming, I found my wrist constantly hurting. I mentioned it to my chiropractor, expecting her to say I must have used it wrong. But, instead, she told me I had fractured my wrist by putting too much weight on my arm just below my elbow. That may or may not have been where I carried my son’s baby bag, two food bags, and diaper bag every day. Lesson learned. Moms, our bodies take a beating. And it’s time we took care of them, too. And maybe took care of the stretch marks. Collagen is the protein building block of all your connective tissues, including your bones, muscles, skin, hair, nails and tendons. Yes, it’s that important. It plays an important role in the replacement of dead skin, hair and nail cells. In fact, around 30% of the protein in our bodies is collagen. Collagen production declines with age, making it even more important to supplement as we age. Smoking and the over-consumption of sugar can actually hinder collagen consumption, as well. It is no secret that pregnancy zaps our nutrients (and brain cells). If we do not have enough nutrients, our bodies will actually pull vitamins and minerals from their storehouses in our bones to give to our growing baby. It’s important to ensure we have enough vitamins and minerals, as well as collagen, during pregnancy and postpartum. In fact, the Weston A. Price Foundation suggests that their research shows that spacing children at a minimum of three years apart ensure that the mother has adequate time to rebuild her nutritional stores. Though that’s not always possible, it lends credence to the fact that many of us do not realize how many nutrients are pulled from the mother’s body when developing a baby. The work doesn’t end there, as we nourish our babies through breastfeeding (all night long), and then chase around rambunctious toddlers for hours on end. Moms, we need to be sure our bones and joints are ready for all the work! Need I say more? Collagen comes to the rescue of dead skin by aiding in repair and supplying new skin cells. Collagen helps to heal and seal our gut by lining the gut and aiding in digestion of proteins and amino acids. Something busy moms use daily and cannot afford to injure. Contrary to popular belief, our bones are constantly regrowing and replacing dead bone cells. We need collagen to aid build new bone and repair those under pressure. Glycine found in collagen delivers energy to your cells, and increases muscle production. Collagen is a staple supplement for busy moms who want to stay in top health and keep up with their kids. But which collagen supplement should you take? Like every supplement, your substance is only as good as its source. I recently had a vegetarian friend ask me if I knew of any marine-sourced collagen. Though I eat meat, I can totally understand the ick factor on this one from even meat eaters. Collagen is typically made from cow or other bovine bones, but there is one company which makes a high-quality marine collagen, which is made from fish. Vital Proteins guarantees that its marine collagen is wild-caught, and non-GMO project verified. Always verify that the company you purchase from is transparent about where their product is raised or caught, how it is grown, and how it is processed. If they don’t want to share the facts behind their product, there’s probably a reason. Vital Proteins is honest about the quality of their supplements – and when you are talking animal bone-derived, you cannot be too careful. Collagen is a convenient powder and can be added to just about any liquid or smoothie recipe. Take care when adding to very warm foods or drinks, however, as it may harden (think of jello!). You are busy, mom. So, take care of yourself. Add a collagen supplement into your daily regimen to ensure your bones, joints, and skin can take the beating of daily motherhood. And stretch marks. Have you used the supplement collagen to repair your skin, hair or nails? Have you noticed a boost in energy after supplementing with collagen? Gelatin and collagen have very similar amino acids – the biggest difference is that collagen hydrolysate will dissolve in water/juice (hot or cold) whereas gelatin will only dissolve in hot water, and will gel when it’s cold. I like to use both. Collagen in my morning tea or hot coconut milk, and I make a homemade jello out of grapefruit juice with grass fed beef gelatin *and* collagen. I used collagen type II before my pregnancy but I was advised through my OB that I shouldn’t take it during pregnancy and breastfeeding since there is no evidence it might harm or benefit the baby. Have you or your child experienced any side effects? Can take Collagen while breastfeeding? Incredibly nice post! I am visiting this web page on a regular basis, it’s really fantastic! What about taking while breastfeeding? My instincts tell me yes, but I’m here looking too. I’m breastfeeding at 19 months still with no plans to stop until baby led weaning. I’d really like to begin taking hydrolyzed collegan again. Grass fed. Good stuff. What do you think? Thank you. I absolutely love how easy it is to add a protein boost from my collagen peptides in my morning smoothie. I never thought about it helping my skin- but I am 32 weeks with no stretch marks…<3 I just know it was helpful to my digestive gut health before pregnancy and figured it would be just as good during. Thanks for the great post! I may have to try the marine collagen next time I order! I can say that drinking Au Bon Broth has helped me with my health. Bone broth’s know for its gelatin and collagen and I think this helped me with my joint pains. And people have been complimenting me for a healthy looking skin. Hi. I m taking a collagen supplement. I want to know if I can continue the same even if I get pregnant again. Does it has any side effects in early pregnancy? Great article. I’m 13 weeks and taking liquid collagen daily! My health, hair skin, nails have never been better, and the wrinkles around my eyes are gone. 🙂 as for baby, he is thriving! One thing I would add to this article is how it could help the developing fetus too, strengthening bones etc! what about drinking Perfectil collagen drink for skin radiance while pregnancy? Yes, it is safe during pregnancy. I’m unsure of the specific brand you mention. Unfortunately, a lot of doctors simply advise against things because they don’t know anything about them (natural/herbal). This does not make them unsafe; many have a long history of use in pregnancy. And then they DO advise that you take things that have a long list of side effects, some dangerous, because they are familiar with them. Definitely check multiple sources and don’t just listen to one. Thanks to the author, I would like to peer extra posts like this. But he scooper seems like a lot to add at once? Do you take a certai number of teaspoons daily? Hi im still breastfeeding on my 18mos old baby, is there any effects if i will talke NeoCell Marine Collagen supplement? Thank you.. I want to take neocell super collagen.is it safe? Thanks for sharing! I think this is the most revealing and information article of 2017. Hi im a breastfeeding mom of my 20 months baby girl, is it safe to take neocell super collagen c? Collagen has many benefits while breastfeeding, but that is not one of the brands we recommend. We recommend Vital Proteins collagen as it is highly bioavailable and sourced from grass-fed cows. this was really helpful, thank you! i would assume also great to take while breastfeeding? Hi i have vital proteins collagen creamer and i am pregnant is this safe to take while pregnant? It has aspartic acid in it. Do they all have that in it? Hi there, I am BF my son, 22 months, need HELP with my hair. Just bought Biosil (collagen supplements) heard many good reviews on this product. I want to know if any one has tried it while BF? Is it safe? is it safe to take hyaluronic acid supplements during pregnancy and breastfeeding? If I want to take collagen to support my skin and hair postpartum, should I be taking marine or bovine collagen? I will be breastfeeding, and don’t know which I safest/best. I added a scoop of collagen protein to my smoothies about once a week during second and third trimester, as well as once during early labor. I have now learned that collagen keeps the cervix extra firm, which is great if you’re prone to cervical insufficiency, but bad if you’re healthy and want to dilate normally. I’m convinced the extra collagen caused my prolonged labor (25 hours from the start of active labor, 57 hours from the start of early labor). I still succeeded in having a natural childbirth, but it was rather traumatic. Is taking marine collagen safe while preggos? I’m taking bovine collagen, wanted to see if switching between the two would be cause to worry.